Oval 130 + Shape 2 Created with Sketch. Make your navigation as fast as it gets with lightening-fast Ajax filtering, paging and sorting. Improve UX by avoiding page reloads and allow users to browse by multiple parameters at once. Qty You can use this extension on one live Magento host and unlimited test hosts. Professional installation by the Aitoc team (paid for CE-version users) is included into every Magento Enterprise extension package. To schedule the installation please email us at magsupport@aitoc.com. 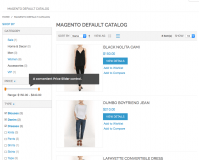 Why Use Magento Ajax Product Filter extension? On an e-commerce site, even a split-second delay could cost you a sale. Speed up and improve your site’s navigation easily - with Magento Ajax Product Filter by Aitoc! With each filtering condition a customer sets, the page is reloaded. This means, each time a visitor clicks an attribute, switches from list to grid view, chooses the number of products per page, etc., your page acts slow. By using Ajax Product Filter for Magento, you allow your customers to apply multiple filters or paginate without causing the page to reload. However, this will still send a server request for each action. Hence, the page will freeze sightly while AJAX is being executed. 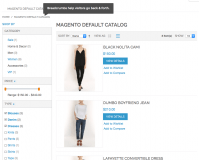 Implementing Ajax Product Filter for Magento makes your page lightening fast. No matter how many filters a user applies or reapplies, the extension will get data from the server in a background mode, and then use AJAX to sort and filter products directly in the browser. *A minor delay is only possible when category products are loaded for the first time. 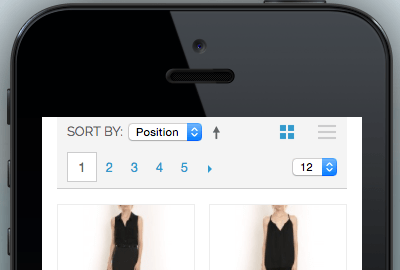 Super-fast switching between list & grid view. Super-fast sorting by price, name & position. Super-fast filtering by multiple attributes at once. 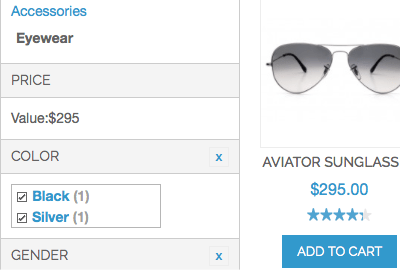 Let shoppers checkmark multiple attributes at once. 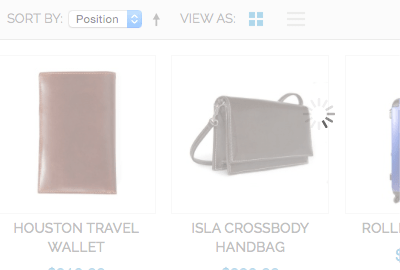 Display matching products as a grid or a list. Enable breadcrumbs to aid browsing. Add a convenient price slider control. Highlight attributes when they are selected. Compatibility with Magento responsive theme. Magento Grouped Product Options extension – Provide customers with the opportunity to select the necessary modifications of products in groups. Create and edit new product groups and assign custom attributes for any item included into a group. Magento Product Color Swatches & Visual Attributes extension – Make your product page eye-catching by using visualizations instead of a plain text. Upload icons, images and colors and change text descriptions to the corresponding objects automatically. Magento Product Questions and Answers extension – Implement a virtual assistant service to help your customers throughout their shopping journey. Create a set of most common questions and prepare answers to them to guide buyers as they search for goods on your website. Magento Product Reviews & Ratings plugin – Encourage buyers to review the products they purchased at your store. Ask them to leave feedback and offer special deals for reviews submission via automated emails to get more customer testimonials and ratings for your ecommerce website. 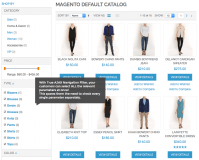 Magento Product Attachments plugin – Add any number of downloadable files with extra information to your product pages. Upload instruction manuals and user guides of any format, showcase video presentations of your products, and share customer testimonials. Magento Related Products extenson - Showcase similar and alternative products as well as best sellers. * Fixed the category view issue (list/grid switching). + The extension is compatible with Magento 1.9.2.3 / SUPEE-7405 and SUPEE-7616 patches. * Fixed the issue with pagination not working when 'is anchor' is disabled for the category with 3 columns layout. + The extension is compatible with Magento 1.9.2.2 / SUPEE-6788 patch. 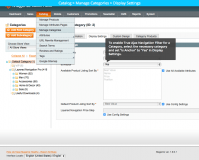 * Compatibility fix with AITOC Magento Booster extension (an issue with magento filters on category page). * Compatibility fix with AITOC Magento Booster extension. * Fixed an issue with duplicating pagers on product list navigation. * Design compatibility fixes with Magento CE 1.9 responsive theme. A must-have designer tool for any Magento store that sells products with user-added text or images. Generate simples for configurable products on the fly. Unlimited attributes! A flexible utility for exporting/importing Orders and Customer data in Magento. 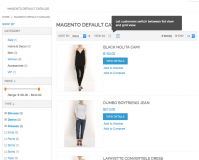 Do anything you want with Magento checkout: merge, remove or extend checkout steps as needed.